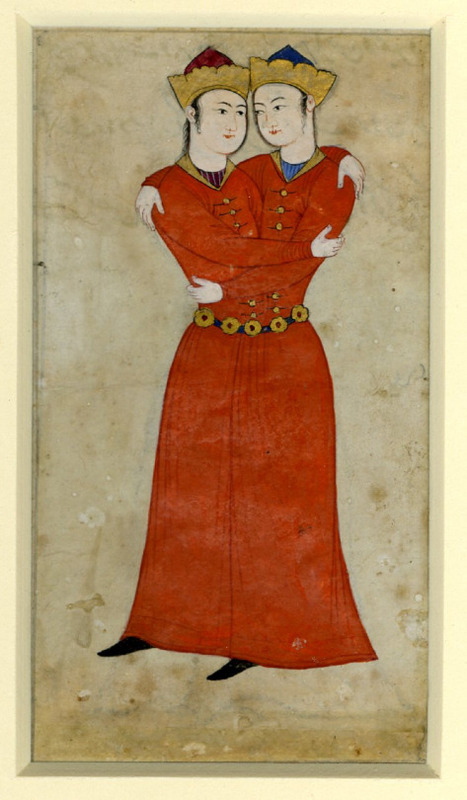 Entwined Geminis, Safavid Dynasty Persia/Iran 1630-1640 C.E. opaque watercolour and ink on paper. The twin Geminis’ share the same body and stare into each others eyes.